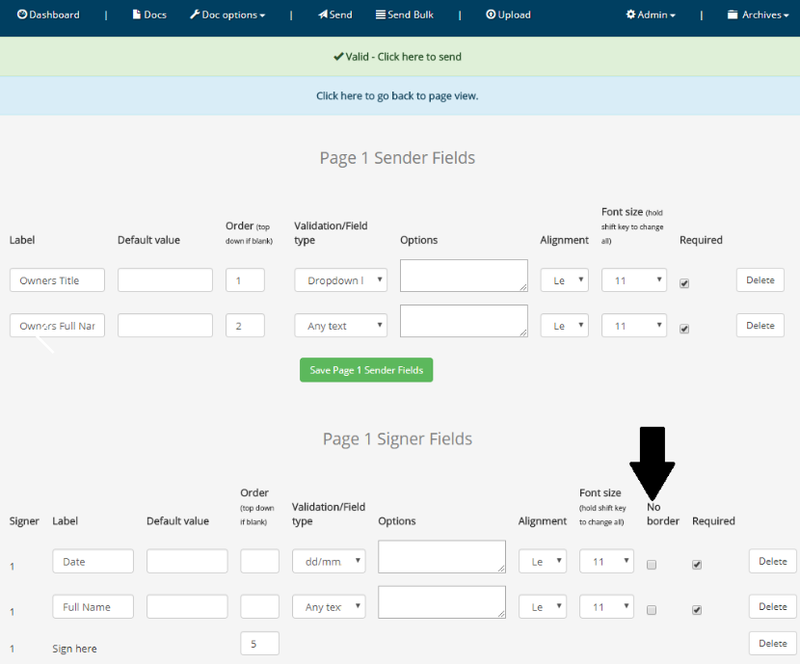 Signer field borders can be removed, thereby making your fields entirely transparent in 'Fields View', a view that shows all your PDF fields in a tabular format. 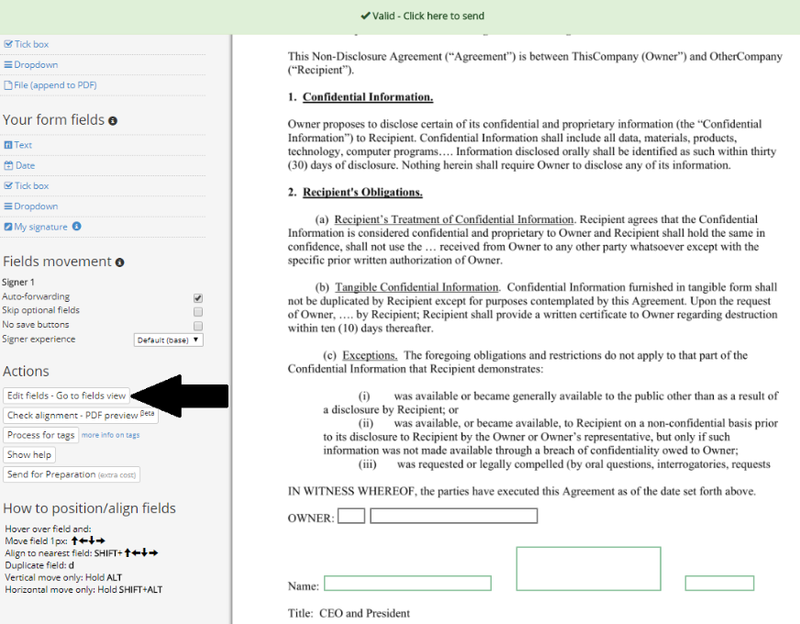 Click on 'Actions' in the PDF edit page, then "Fields View". This will move to a page with all your fields in a table format. Tick the 'No border' tick box associated with the field and save the page to apply. You may want to remove field borders in tightly knit forms where lots of fields are optional, such as timesheets, or where field borders are already in the underlying PDF.